Oregon is the home of Benchmark Maps. Our love and high-regard for this beautiful state is on proud display on every page of this very popular atlas. The new 4th edition has improvements that will insure its continued success. The field-checked Landscape Maps(TM) are now 10% larger and show ground-cover detail at a very high-resolution. 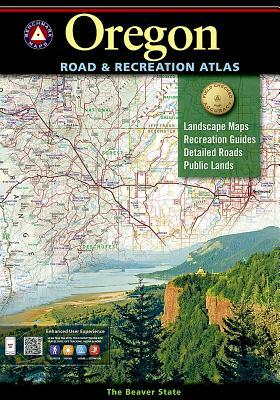 Benchmark has extensively revised the Portland Metro area map and completely updated the Recreation Guide.Map Scale = 1:225,000 & 1:750,000Sheet Size = 11" x 16"